The Finger Lakes stretch like narrow north–south slashes across western central New York. Their names evoke the tribes of the Iroquois Confederacy that dominated this area for more than two centuries. From east to west, the lakes are Otisco, Skaneateles, Owasco, Cayuga, Seneca, Keuka, Canandaigua, Honeoye, Canadice, Hemlock, and Conesus. Iroquois legend has it that the Finger Lakes were formed when the Great Spirit placed his hand in blessing on this favored land, leaving behind an imprint. Geologists offer another explanation: retreating Ice Age glaciers created the lakes about a million years ago. Whether the Great Spirit or glaciers created the Finger Lakes, the region is a place of stunning beauty, perfect for summer touring. 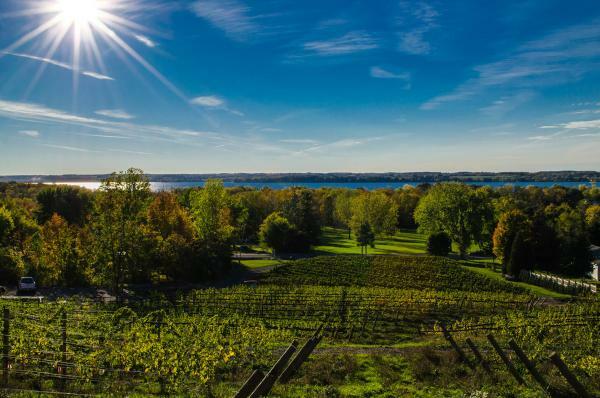 TOP REASONS TO GO WINERIES - Finger Lakes wineries have come into their own and touring vineyards and tasting the famous Finger Lakes wines has become one of the most popular activities for visitors (and residents too). Follow the organized wine trails or just pop into a local winery for a tasting. GORGES AND WATERFALLS -The south-central Finger Lakes region is littered with canyons and waterfalls. 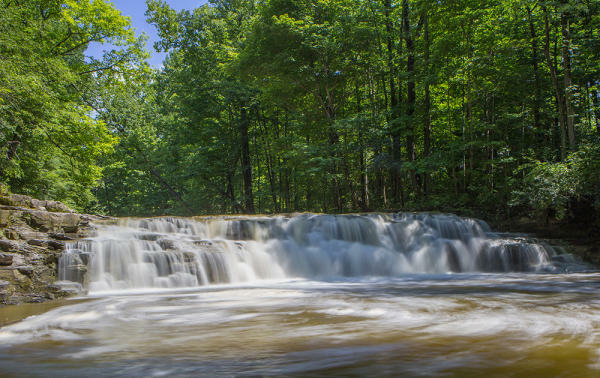 Visit Fillmore Glen just south of Owasco Lake and see five beautiful waterfalls as you hike the well-groomed trails. OUTDOOR ADVENTURE - Cayuga County’s 3 State Parks, the Montezuma National Wildlife Refuge, two State Forests and eight lakes make for excellent hiking, biking, boating, fishing, or just taking in the scenery. HISTORY LESSONS – Cayuga County was a hotbed of change, innovation, and progressivism in the 19th century—a place where suffragists rabble-roused, secretaries of state orated, and abolitionists converged. 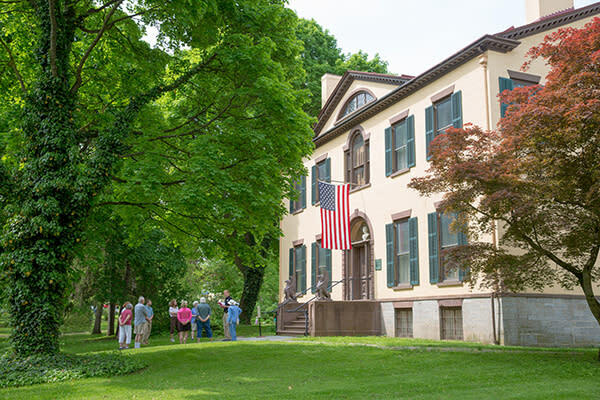 Museums and historic homes pay tribute to these movers and shakers of centuries past and are not to be missed. FOOD FRESH AND LOCAL – Experience the rich agricultural bounty that comes from Cayuga County! Our small farms and vineyards are a sight to behold and in addition to preserving our landscape, they provide great tasting food and drink! 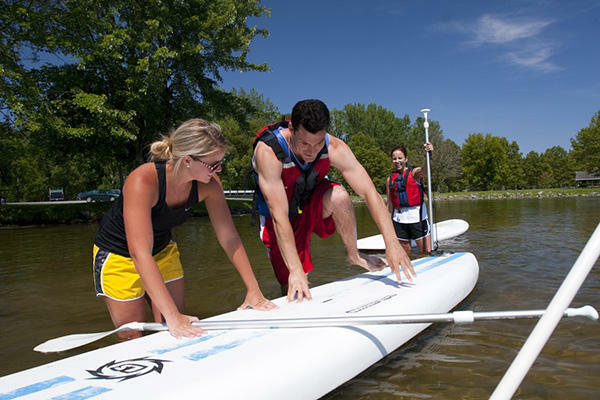 You shouldn’t waste a minute of glorious summer in the Finger Lakes. I highly recommend you start planning your summer trip(s) today!